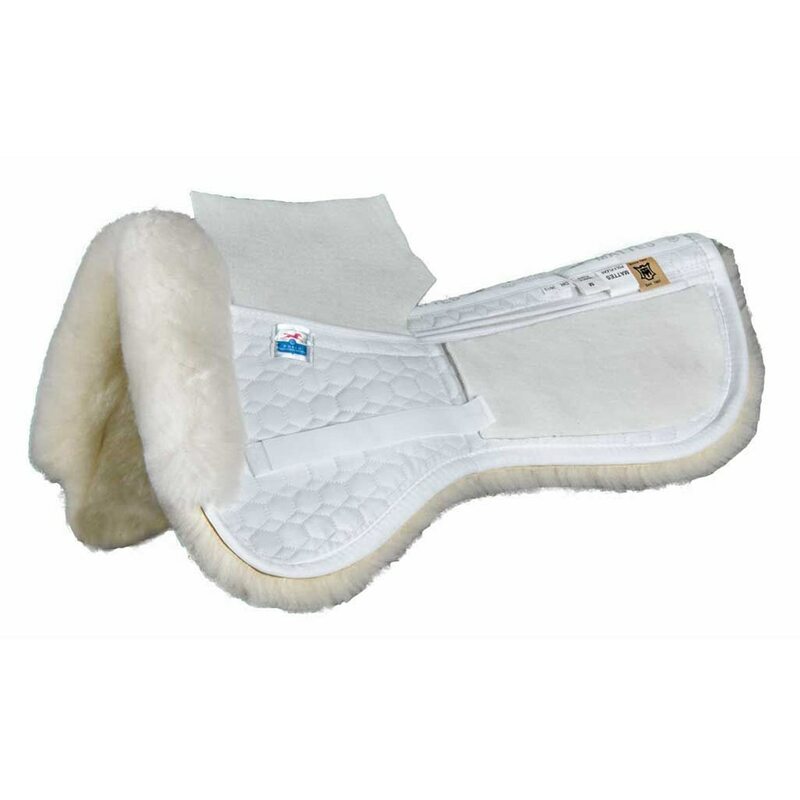 The Mattes Gold Correction Half Pad With Pockets for Shims-AP is made from the same design and high quality materials as the sheepskin pads. Instead of full sheepskin panels, the GOLD pads are made with high loft, dense, 1 1/4" long wool on a fabric backing. The front and rear trim are sheepskin. This spine free half pad absorbs energy and bounce for extra comfort. Made from the same design and high quality materials as the sheepskin pads. Instead of full sheepskin panels, the GOLD pads are made with high loft, dense, 1 1/4" long wool on a fabric backing. The front and rear trim are sheepskin. This spine free half pad absorbs energy and bounce for extra comfort.